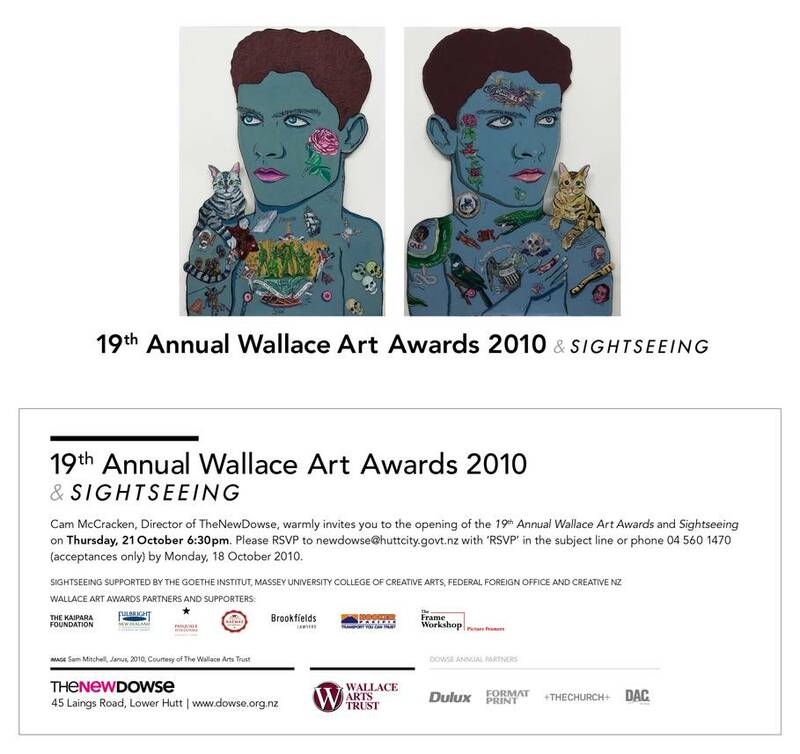 Just got this in the mail, an Invitation to the opening of the 2010 Wallace Art Awards at The New Dowse in Lower Hutt, New Zealand. My painting, Half and Half is in the exhibition. I w0n't be there (obviously) but my agent Mark Hutchins of Mark Hutchins Gallery, Wellington will be heading out to the opening.